A volcanic eruption releases the ROCK GIANT, a huge lava monster. MUMM-RA suborns this GIANT to destroy the THUNDERCATS. The storm, which accompanies the eruption, strands the THUNDERKITTENS in a forest. LION-O and PANTHRO set out in the ThunderTank to rescue them but, before LION-O and PANTHRO can reach them, JACKALMAN attacks the THUNDERKITTENS in a SkyCutter. The THUNDERKITTENS conjure up a Flying Saucer from their magic pellets, cause JACKALMAN to crash and seize the SkyCutter. 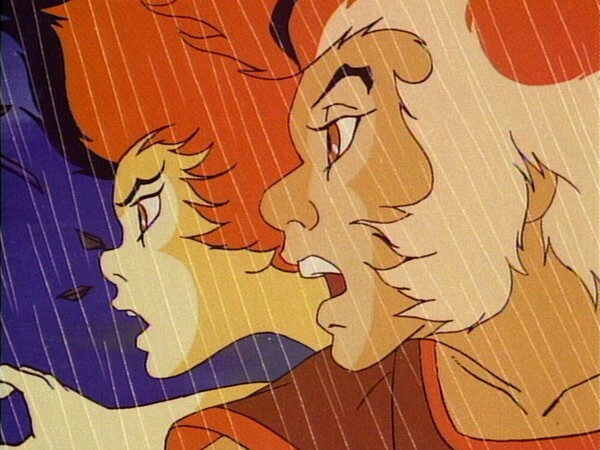 When LION-O and PANTHRO see the SkyCutter, they assume it is hostile, and almost shoot the THUNDERKITTENS out of the sky. No sooner are the THUNDERCATS safely in the ThunderTank and en route for the Cats’ Lair, than the ROCK GIANT attacks pursuing the ThunderTank all the way to the Lair’s doorstep. 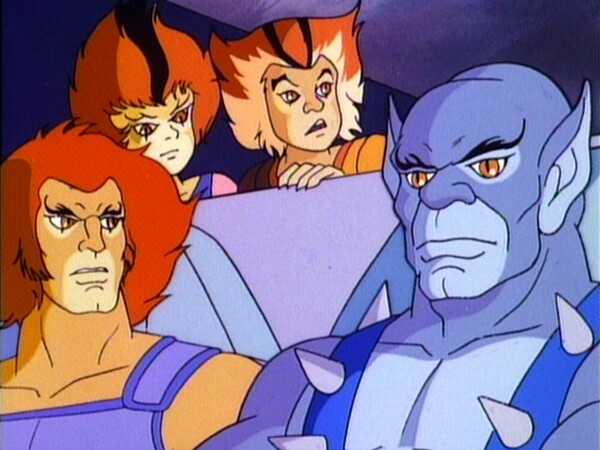 LION-O, PANTHRO and the THUNDERKITTENS manage to escape from the Tank before it is wrecked. The ROCK GIANT proves impervious to the THUNDERCATS’ weaponry and LION-O eventually faces it alone. JAGA appears and urges LION-O to recall how the ancients used the power of extreme heat and cold to split and shape even the hardest rocks. LION-O uses the Sword of Omens to bring the ROCK GIANT to white heat, and then lures him into the icy waters of the Lair’s moat. The sudden change in temperature shatters the ROCK GIANT. This episode teaches us respect for the forces of nature and how learning about nature and the basic laws of physics can be useful. 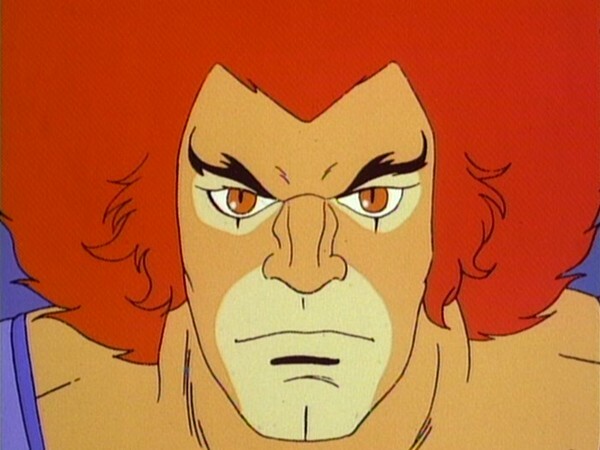 The ThunderCats are forced to deal with electrical storms with thunder and lightning, volcanic eruptions, magnetic fields, and earthquakes, which are unleashed by the Rock Giant. In the beginning of the episode, WilyKit and WilyKat learn from Lion-O the practical benefit of not standing under trees in a thunderstorm. Later, Lion-O uses the basic laws of expansion and contraction brought about by the heat and cold of fire and water to destroy the Rock Giant. The knowledge that we learn in our education serves a practical purpose in helping us live our lives. We should strive to learn all we can about natural science so that we can use the forces of nature to our advantage and be safe from their dangers. 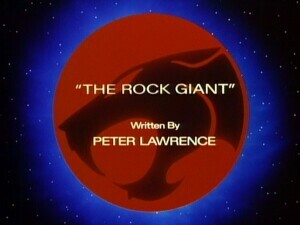 On paper, “The Rock Giant” is a ThunderCats episode with a paper-thin plot. 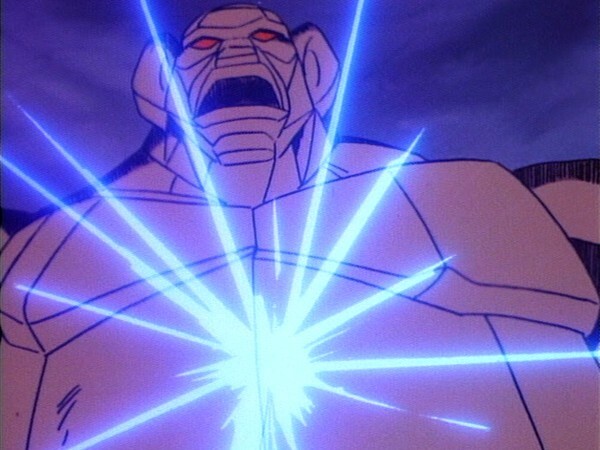 Essentially, a raging storm awakens a sleeping rock giant whom Mumm-Ra launches against the ThunderCats. The feline heroes struggle to defeat the giant, but ultimately prevail against it. And yet, somehow, this episode sparkles with so much of the magic that permeates the entire series that, even though this episode probably is weaker than much of Season One, it still provides for an entertaining and captivating ride. From the first few moments, this episode grabs the audience’s attention, with great, booming and eloquent dialogue from Mumm-Ra and his transformation sequence appearing early on. The devil priest is at his malevolent best here, oozing evil and might as he calls on the power of the Rock Giant to attack the ThunderCats. 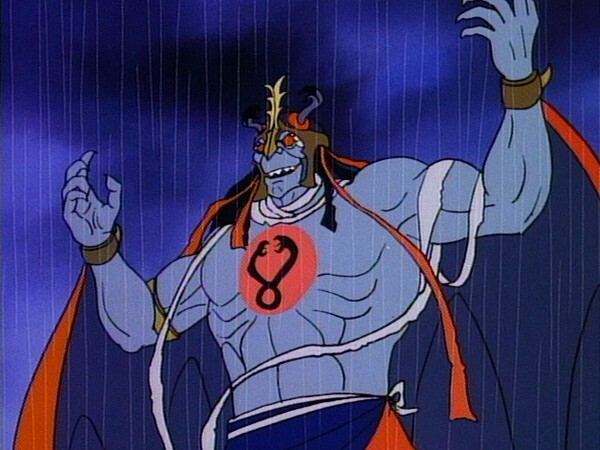 Often the quality of an episode of ThunderCats can be measured by how good an outing that installment is for Mumm-Ra, but in the case of this episode it is perhaps slightly misleading. 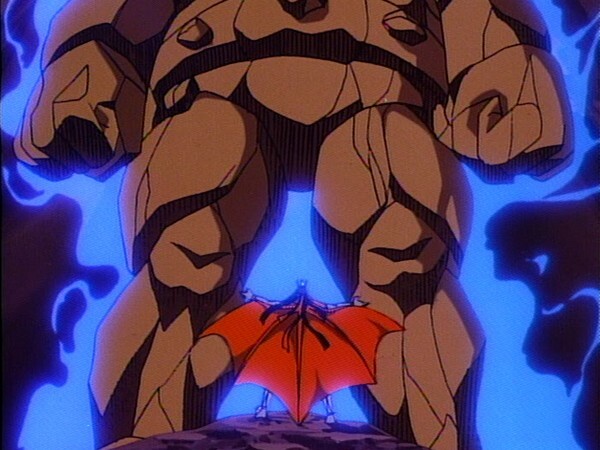 In the context of its slightly weaker plot, Mumm-Ra here is a comprehensive show-stealer, displaying not just menace and power but also showcasing an aspect of the character that at times was forgotten throughout the series: that of a powerful sorcerer not always attacking directly but manipulating and setting events in motion from afar. The character of the Rock Giant itself is a fairly straightforward one. 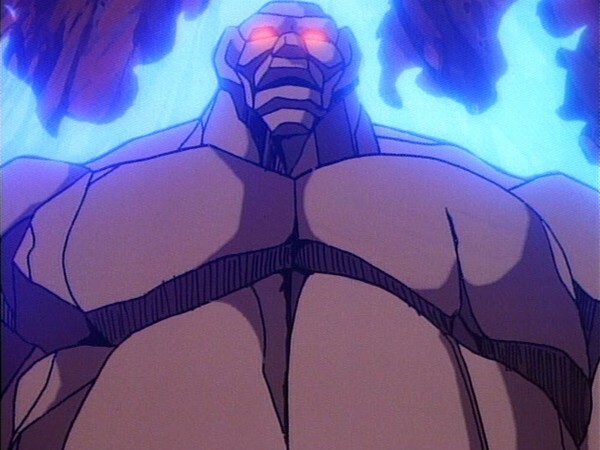 Whereas it would not be unusual to create a slightly tortured character from the frightening giant—a character who acts out of fear or self-defense rather than evil—in “The Rock Giant” Peter Lawrence leaves no doubt that this giant is an evil creature, hell-bent on destroying the ThunderCats for no reason other than that they are Mumm-Ra’s enemies. Whilst this makes the character somewhat one-dimensional, it does lessen the otherwise potentially traumatic conclusion of this episode, in which the Rock Giant is destroyed by Lion-O. In fact, in and of itself, the manner in which the Rock Giant is defeated brings up its own debate. Was the Rock Giant ever truly “alive” or was it merely rock animated by mystical forces? If, in fact, the Rock Giant was “alive”, then is Lion-O killing the creature? Although death is rarely tackled head-on in ThunderCats it is actually addressed more times than one might think, with several nameless and forgettable evil creatures (and even a couple that are not so nameless or forgettable) running, falling or generally meeting their doom off-camera. In this episode, the destruction of the Rock Giant is actually quite graphic, but the ambiguity is whether or not the creature was ever truly alive, something that, from the events of this episode, could never really be answered conclusively. Earlier I mentioned that this episode has quite a thin plot, and I reiterate that point now. There is nothing complex or especially interesting about this episode. It is primarily a straightforward action episode with very few (if any) major plot twists. However, it is worth remembering that exciting action sequences are one of the hallmarks of ThunderCats, and the show’s ability to execute such sequences better than most of its peers are what many fans remember most fondly about the series. This is no less true of this episode, which expertly choreographs one engaging action scene after another, utilizing the looming Rock Giant threatening to crush all in its path and crafting sequence upon sequence on this simple premise in a gloriously cinematic fashion. That this works as well as it does is a tribute not just to the individual animators and directors who worked on those sequences, but also to how well the production team were able to synchronize the visuals on screen with Bernard Hoffer’s exciting music track. 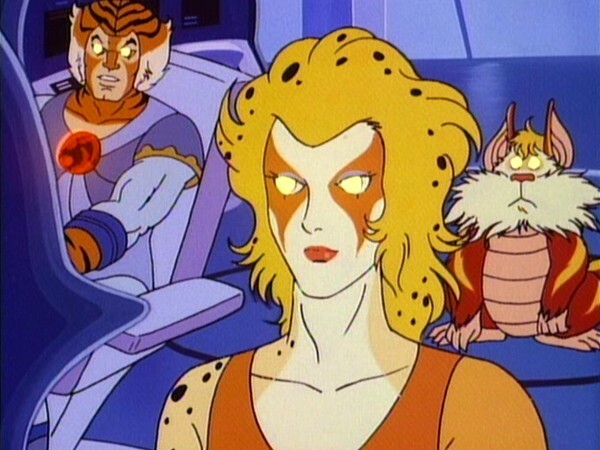 The music on ThunderCats was another major element of the series’ success, and this episode makes good use of it. Another great masterstroke by writer Peter Lawrence was setting this episode in the middle of a torrential and violent storm. Having the ThunderCats battle the weather as well as the Rock Giant not only adds another dramatic element, but also creates a threatening and ominous backdrop that amplifies the Rock Giant’s menace—he truly is a creature spawned from the furious elements, an impression reinforced by his fire-breathing abilities! Could this episode have been improved upon? Probably. Adding some other plot twist at just the right moment would have further complemented the outstanding action sequences and brought a whole new dimension to this episode. However, this episode nonetheless bears many exciting ThunderCats trademarks and is likely to entertain anyone who enjoys a good dose of action with their animation! This Rock Giant is not alone in the world. Lion-O and Snarf encountered another giant rock creature in “The Time Capsule”. However, that giant was not so giant, had no mouth, could not breathe fire and appeared to be rooted to the spot—a complete contrast to the Rock Giant in this episode! More impressive is the Childe of Gorgon—another rock giant of sorts—who is much, much larger. 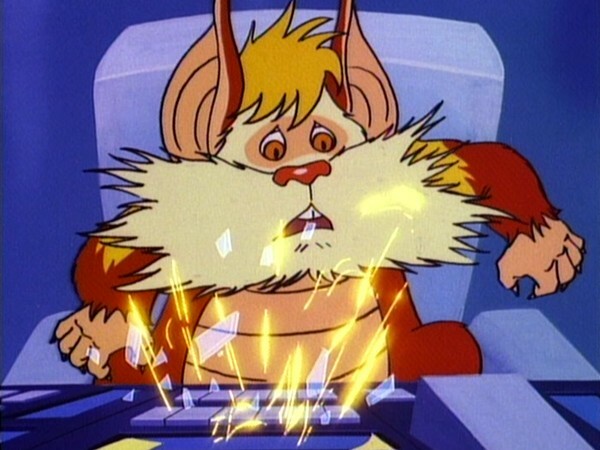 The drama of the ThunderKittens flying a SkyCutter and being mistaken for Mutants by their trigger-happy friends would be repeated in “ThunderCats Ho! Part Three”, with Lion-O in a SkyCutter and Tygra firing at him. Shooting first when unprovoked? Not very ThunderCat-like! 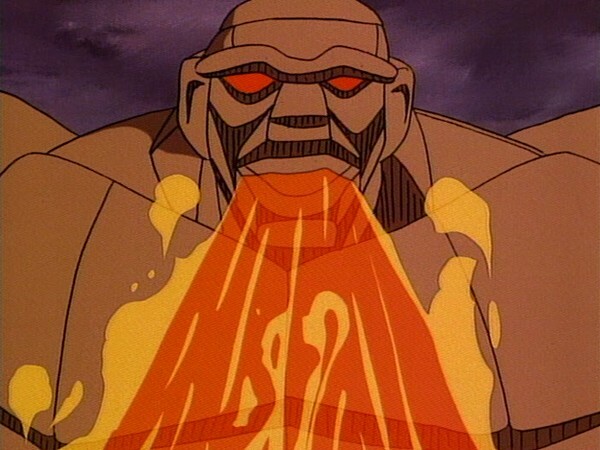 Just before the act break, the Rock Giant attempts to set fire to the ThunderTank, surrounding it in flames. After the act break, however, it’s as if this never happened. There’s no fire to be seen, and the ThunderCats hop into the Tank without so much as a first-degree burn! Mumm-Ra reads the combined details of the storm—thunder, lightning, and fire from a volcanic eruption—as a herald of an ancient evil stirring, and then travels to that volcano to waken the Rock Giant specifically. 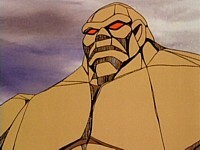 In this way, the Rock Giant joins the Mask of Gorgon and, arguably, Mongor as primeval entities that Mumm-Ra is aware of but needs help to locate. 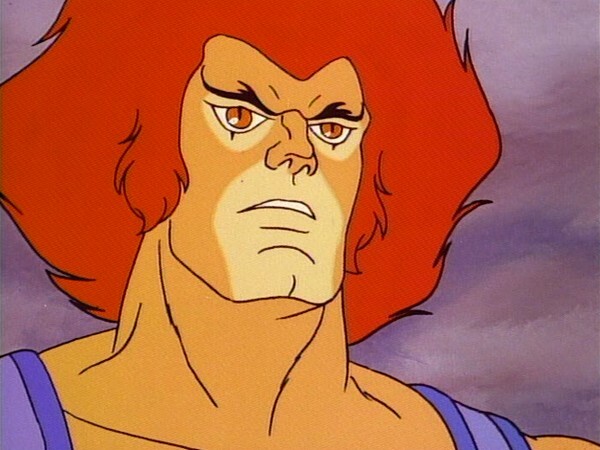 When ThunderCats began airing on the BBC, the show was broadcast once a week, and as such the “first season” of ThunderCats in the UK comprised only half of Season One. 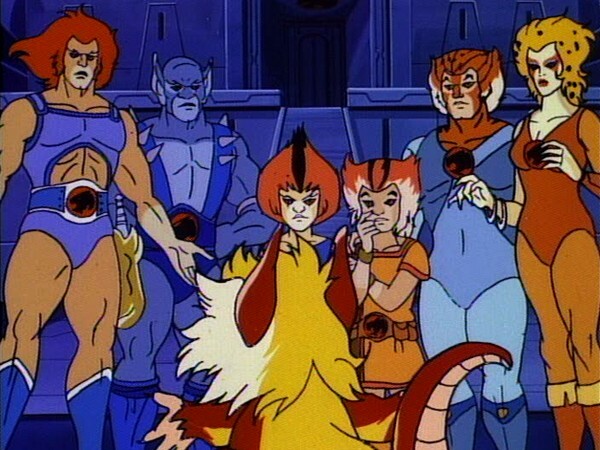 This episode served as the show’s first “season finale” in October 1987, and would be the last new episode of ThunderCats broadcast in the UK until September 1990, when the BBC began airing the second half of Season One.